At Alpha Electric Supply, pride ourselves on providing quality product that is competitively priced while at the same time providing the absolute best service in the construction industry. Feel free to browse the websites and select which product line is best for you. 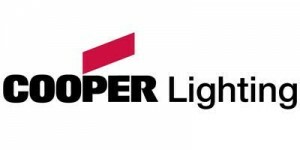 Cooper Lighting is a manufacturer of residential, commercial and industrial light fixtures. Popular Cooper Lighting brands include Halo, Metalux and Lumark. Hubbell Lighting is a manufacturer of residential, commercial and industrial light fixtures. Popular Hubbell Lighting brands include Columbia, Prescolite and Dual-Lite. Rab is a cost-effective manufacturer of commercial and residential outdoor lighting products. Rab manufacturers floodlights, wallpacks and LED fixtures for a variety of outdoor applications.